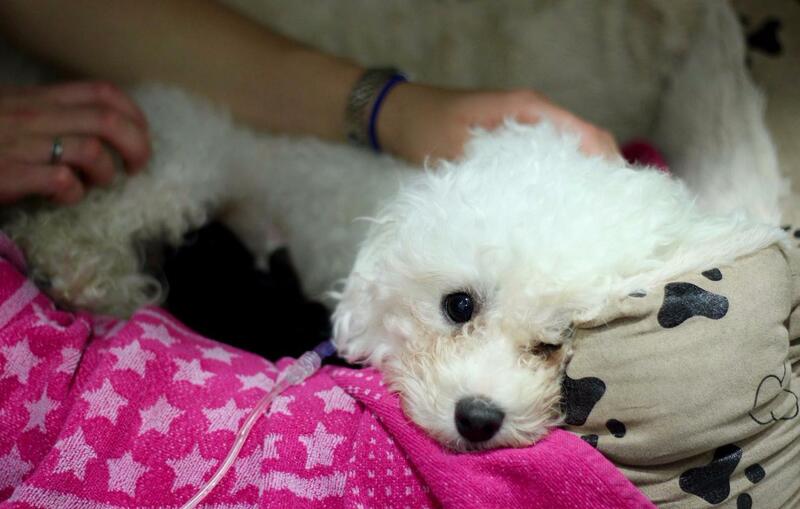 Dolly, a young Bichon Frise, was brought in to The Vet Bristol in September as she was due to give birth. After an initial check-up the vet thought she may need a C-section but decided to see how Dolly progressed. Dolly came back the following weekend, seeming uncomfortable, so a C-section was discussed further. Dolly returned on the Monday as she was not straining. 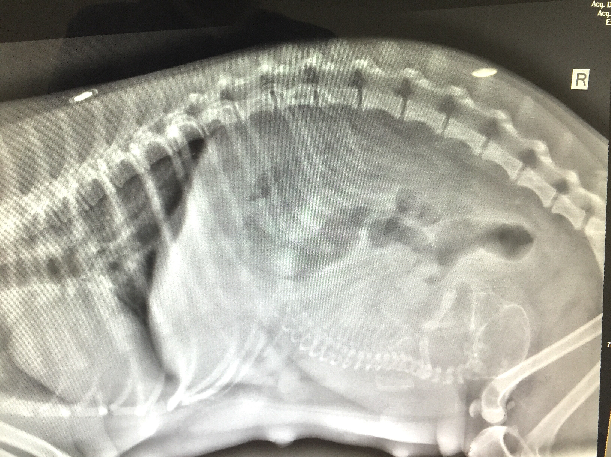 An x-ray was taken, and showed one very large pup ready to go. The decision was made to go ahead with the birth and so the theatre and Dolly were prepared. 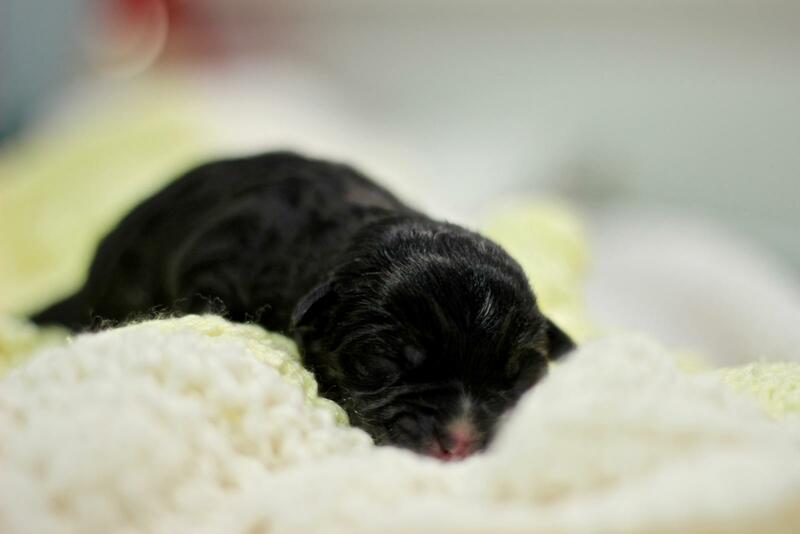 During the C-section Dolly’s pup had moved down into the pelvic canal, but was too big to come naturally. The pup had to be pulled back up from the pelvic area. Moments later Dory was bought into the world! Fit and healthy! Both the mum and pup are doing really well. Veterinary Surgeon Lydia reported that she’d never seen so much love from owners and she believes their neighbours were in on all of it too! Dolly was also spayed at the same time as the pregnancy wasn’t intentional and they don’t want any more little surprises. Dolly took to mothering Dory well, though as a very friendly and excitable, young Bichon Frise she would actually forget Dory was in the kennel with her! However, we’re sure she’ll be a great mother.